Since last November the volunteer group “Nagoduy soldativ, Kharkiv” (“Feed the soldiers, Kharkiv”) was prepared sets of packed lunches for preparing hot dishes in the field. 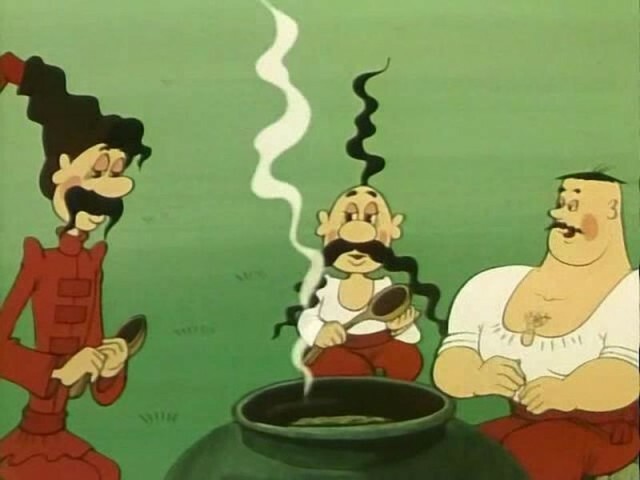 They prepared about 50 tons of dry borshch and soup (about 120 thousand servings) for fighters of ATO. Last year, two residents of Kharkiv created community in social networks, which invited all the concerned people. 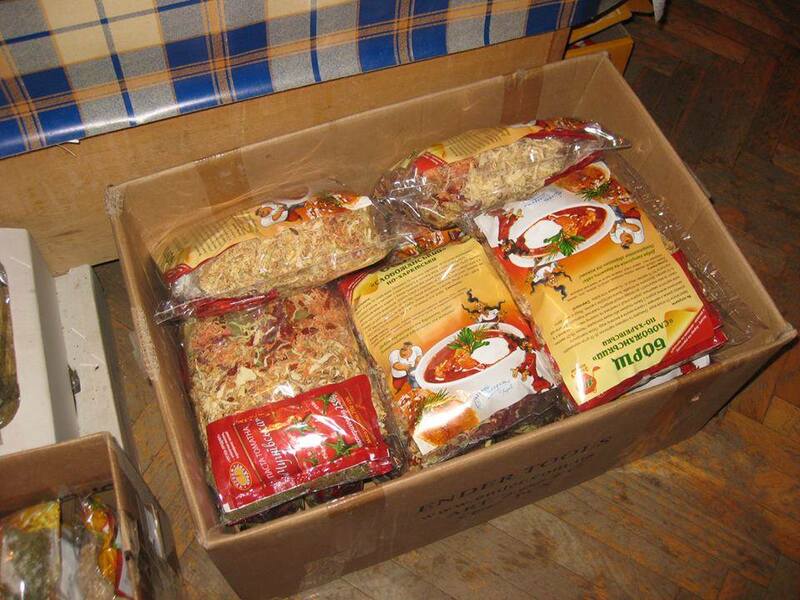 Activists still help the Ukrainian army with food: dried fruit, vegetables and packaged sets. Coordinator of Volunteer Group “Nagoduy soldativ, Kharkiv” Natalia Dolgopolova told that the first recipe of dried dishes they found in the Internet. In a year the assortment of dishes grew to 15 (different kinds of soups such as rossolnik, lagman and others). In addition, volunteers have sent thousands of packages of dried meat, fruit and cereals, energy bars, sweet sets to the area of ATO. They have developed food in tubes specifically for reconnaissance (lard mashed with garlic and spices). The commander of the army division, Constantine V’yugin would like to thank the volunteers and said: “All of these products and sets are made with soul. The soldier, who prepares homemade soup, always thinks about home. He has this little opportunity to be distracted from the gray routine that surrounds him there, in the area of the ATO”. Unfortunately, the organization noted that the number of people willing to help, significantly decreased. Volunteers ask for help. Wanted products: mostly vegetables, materials for packaging and other things. Address: Liberty Square, 7, block 2, 3rd floor, office 318. Storage-office is located – Melnikova Street, 2. Schedule of work 10:00-19:00. Contact: Marina, tel. 099-727-82-84, 063-831-83-25. Page in Facebook.